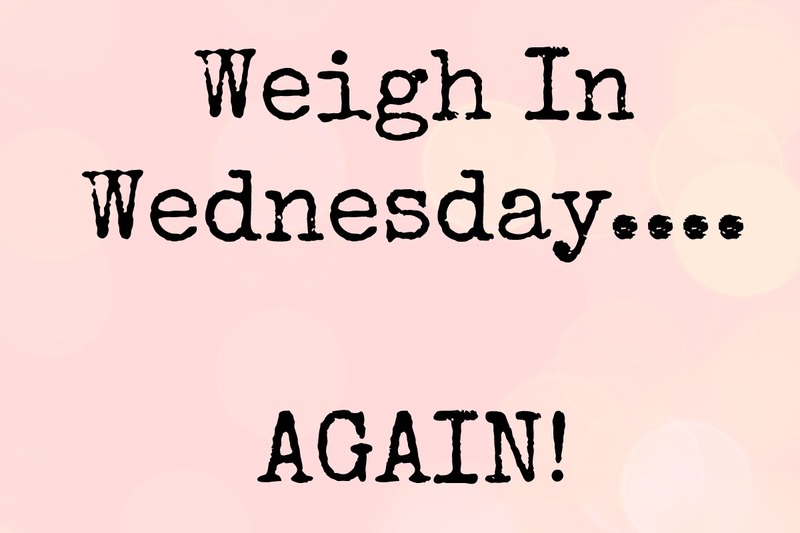 Well my whole Weigh In Wednesday, let's make it public on the blog so that I'll stick to it didn't exactly work out too well for me did it?! My main and only excuse really is work. I didn't have set days during the Summer months, I was working all over the place, different days and times and honestly I felt some weeks I didn't know whether I was coming or going let alone have time to meal plan and eat properly, it was a shambles really. 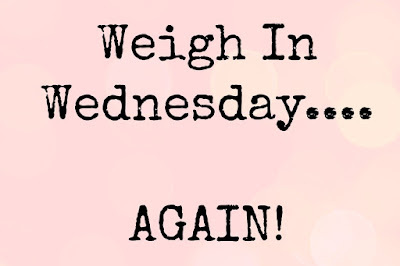 Saying that, I hadn't made any great loss or gain, I'd been fluctuating between 1 and 2 pounds...not this morning when I stepped on the scales though, it was a different story and there's 5 pounds of an increase! So as of last week I am now back to regular days and set hours with an extra day off and I feel much more ready to give myself the time and attention needed to ensure we are all eating better and getting some exercise too. It's the exercise bit that I fall down on though. Sometimes it's so hard of an evening to motivate myself after being at work all day and then getting Luke sorted for bed and doing a quick clean up. Saying that I very rarely sit down in the evenings at home, I'm always pottering around the house so I just need to focus on less pottering and more jumping jacks perhaps?!! Seriously though, I am turning 30 in January and I want to begin my next decade feeling good about myself and comfortable in my own skin. I want to feel confident in whatever I chose to wear for whatever way I decide to celebrate the big 30. I have gone back to the beginning and have my Slimming World book in my handbag to keep me on track. So anyway I am only going to check in here monthly because even though I am now more organised and that I still can't commit to posting this update every Wednesday so I shall do so on the first Wednesday of every month. I'll hopefully be able to include some recipes and tips I may have learned during the month.